I wanted to let you know I am listening, and very interested in this area of software development. I also saw the McGuire chart and was intrigued by the possibilities. 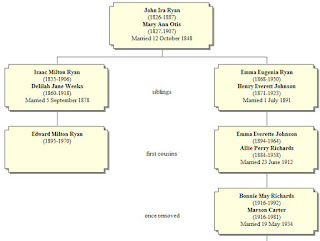 One issue as a software developer is I am not an expert in all areas of genealogy, and look to the community to help identify the needs. Glad to hear of your interest, Ed. I will definitely be sharing the list once I compile it. I know what things I would like to see, but we will get much better tools if we share ideas within the community as with Lauren sharing her charting method. Good post Debbie. Most of us are listening to anyone like you who's got good ideas. I'm not normally a fan of charts. They have their use when there's maybe only 10 or 20 people involved. But once you get more than that, diagrams become difficult for programs to display and become too complex for people to interpret. I am working on incorporating some important DNA goodies into the next version of Behold. 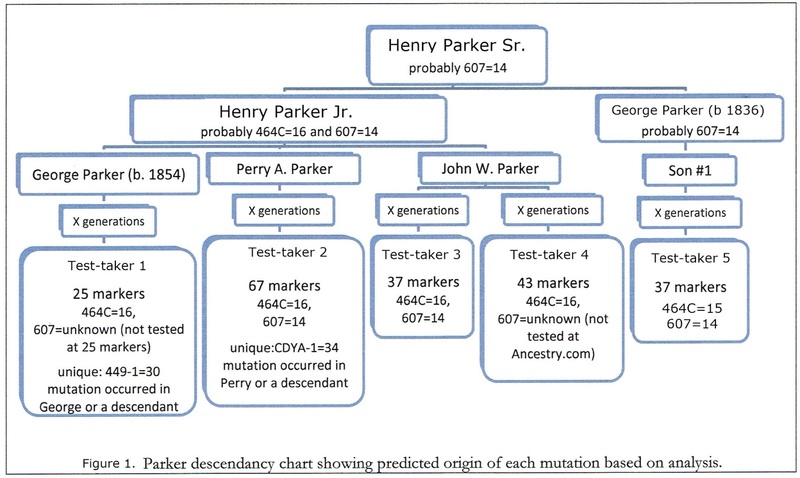 We need to know: (1) How we're related to each other (every way, as we can be related more than once), (2a) The probability that we share autosomal DNA and (2b) The amount we are likely to share if we do, (3a & b) Same for X, (4a & b) Same for Y, (5a & b) Same for mt, (6) who are our ancestors Y-candidates, (7) who are our ancestors mt-candidates, and (8) which ancestors is each person a Y or mt candidate for? 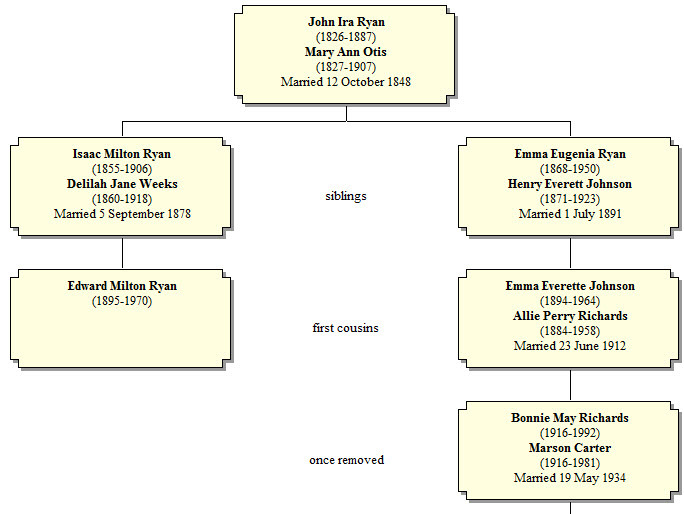 This array of features is not available yet in any genealogy software. And thanks for the links to the ISOGG Wiki wish lists. Don't know how I missed them before. Thanks for the input, Louis. I will add these items to the list. And thanks for writing Double Match Triangulator. I love using it and have not learned the full power of all of the features yet. 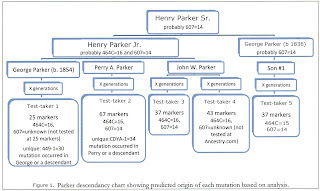 For those of us who need pictures to see, the charts are indispensable, even if we cannot fit every potential DNA match onto one page. And you are right, even current software packages that allow the user to enter some of the mtDNA and Y-DNA marker values do not use it for any meaningful output. 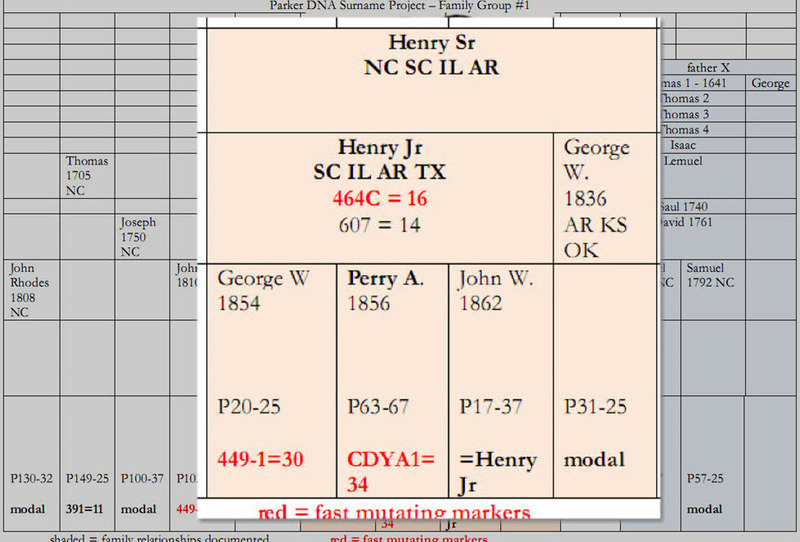 And I have not seen any software that does much more than print a list of a person's potential ancestors for a specific type of DNA (mtDNA, Y-DNA, X-DNA). 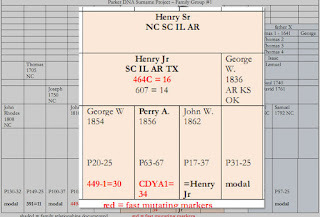 I think that will change in the future with programmers like you who are interested in using genetic data for genealogy. Totally agree. 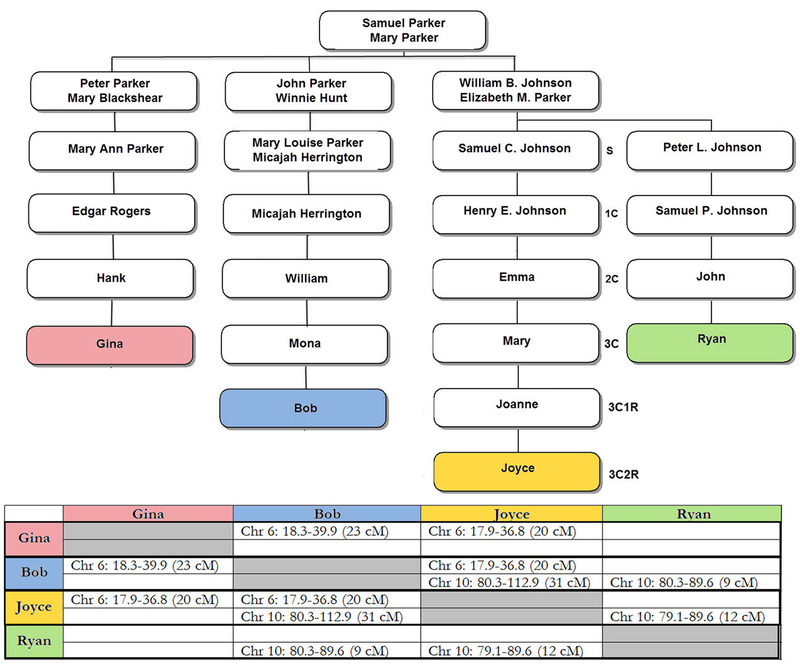 I would like to see the functionality of a genealogy program combined with software for recording and reviewing DNA matches. 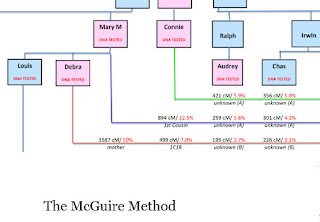 A FTM meets FTDNA meets Gedmatch. 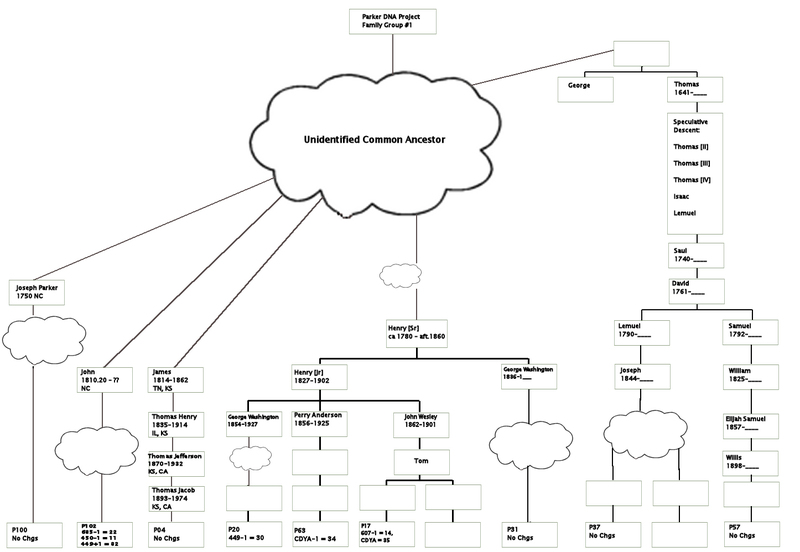 So a genealogy program with the ability to import data about DNA matches that allows users to either review the matches and assign them to a person already in their tree or set up individual person pages for new matches. 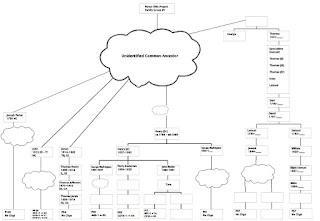 This would allow people to add information about matches in an organised fashion and information would not have to be re-keyed once a match is confirmed.As a FTDNA user the biggest drawback is that information has to either be manually keyed in every time you want to add someone to your tree or you need to upload a new tree which means that you have to reassign all of your matches which is a time consuming process. Having to reformat data and re-key the data as I move from tool to tool is one of my big complaints right now. 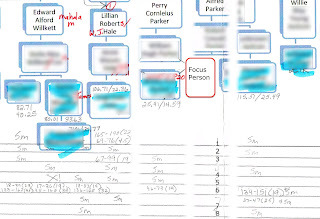 In addition to ideas about what data we need to record and how we want the output to look we may need some data format standards to make transfers easier. Thanks for sharing your ideas. So glad you wrote this piece. Being spread out among multiple tools is a challenge. If we're going to dream, I'll dream big and wish that such a program would incorporate segment mapping with reports that can be pulled and filtered for multiple reports/charts. Also to include source & citations for research. 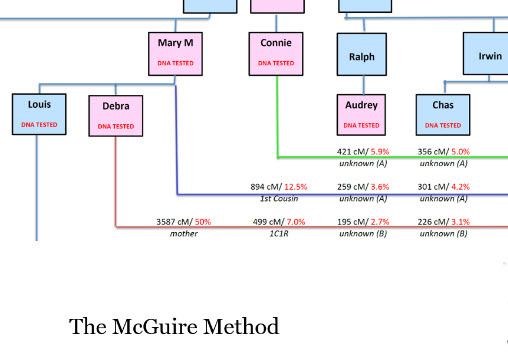 I am intrigued by Evdentia's new Cousin Finder but wish after confirming you could also view an entire branch, much like the McGuire method. Thanks Debbie! We may wind up with incremental wins, but if we have the "big dream" goal in mind the incremental improvements can be designed so it is easier to add enhancements. 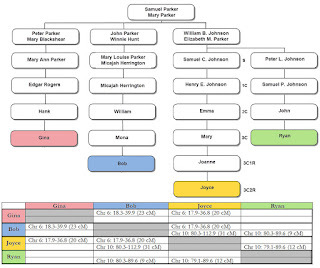 For example, RootsMagic now has a Relationship Chart (image added at the end of the blog post) that would work well if we could select more than two people and space the boxes closer together. 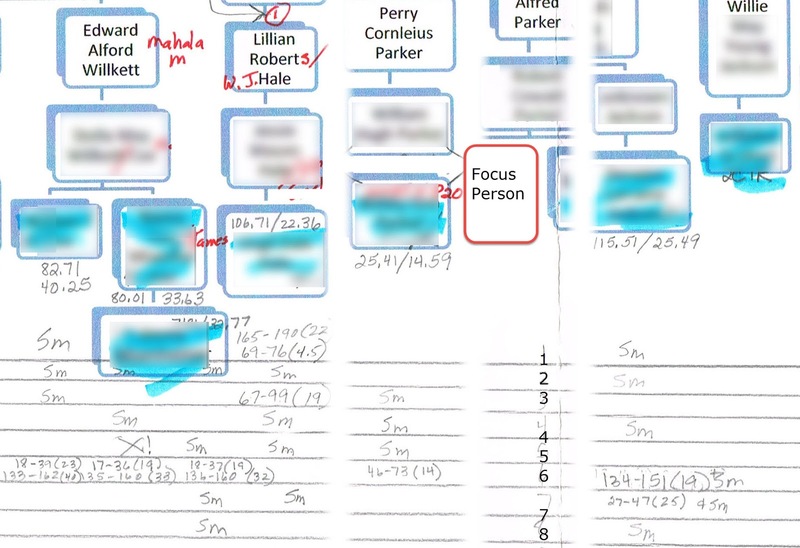 We might want to mark one of the selected end-line people as the focus person so relationships to that person are listed in the other end-line boxes. Thanks for sharing your ideas. I think discussing this openly among the community will give the developers some good ideas.